This wing-shaped base bar is made from high-strength triple-butted 6066-T6 aluminium, allowing a complex aero shape at low weight. 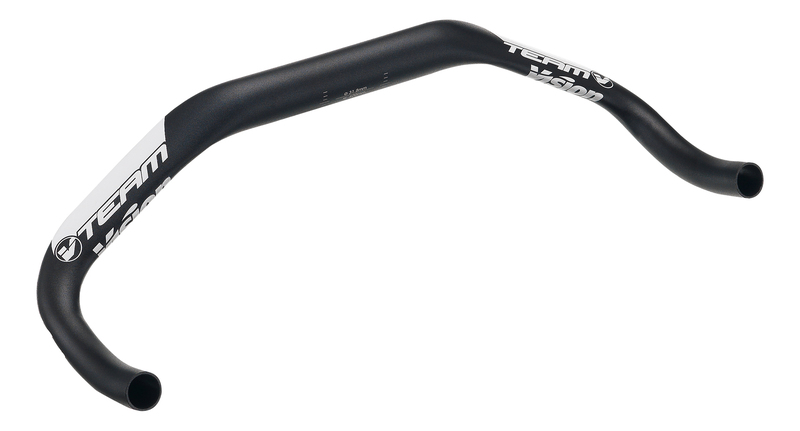 A broad, straight 31.8mm centre section gives plenty of room for stem and clip-on aero extensions. Outboard of that, the bar flattens into aerodynamic wing sections with a deep 62mm drop before curving into a powerful forward section. Full internal cable routing ensures that disrupted airflow is kept to a minimum. I liked this handlebar. Vision did it right. It looked pretty nice too. The handle part is curved not like the others where its straight. It looks pretty mean when it's installed.